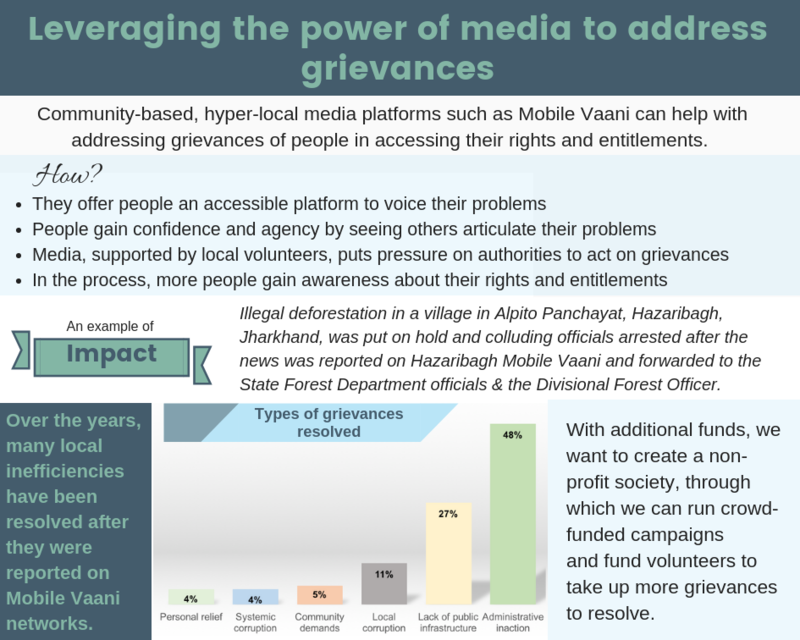 While on-ground volunteers can assist with grievance redressal, community-based hyperlocal media can play a powerful role in putting pressure on authorities to act on grievances. Over the years, local inefficiencies on a range of topics have been resolved after they were reported on Mobile Vaani. With additional funds, we want to create a non-profit society to run crowd-funded campaigns and fund volunteers to take up more grievances to resolve.